ha! Took me a second. wouldn’t you just dive head-first INTO the water rather than to look back??? 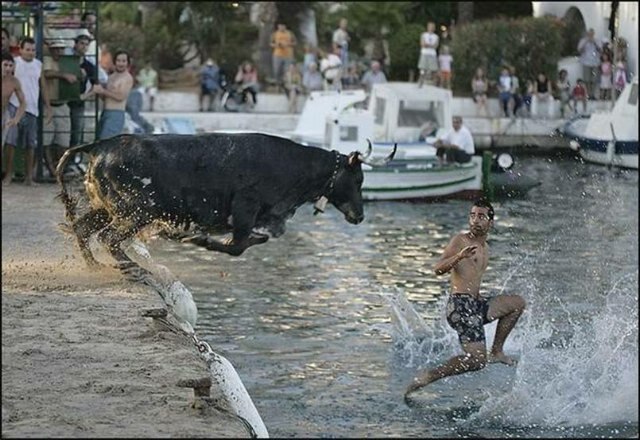 I mean you can worry about the bull when you’re safely 20 metres out because he’s not gonna swim as fast as you!!! Stoopad Spaniard!